Are you a developer and searching About google AdSense, You are at right page. Here all explanation about what is AdSense and it's Features. We also included How google AdSense works and it's working principals. What is AdSense and how do you use it? In simple way AdSense is a transparent targeted audience Advertising network owned by Google. You can Make money online by your online content using website, blog and YouTube channel. Anyone can Make money by website, blog and YouTube channel using Google AdSense. Be careful its not so easy. In short Google AdSense is a CPC (Cost per click) or page impression based Advertisement portal, that's allow to put ads on website/blog, YouTube and Application. To earn money from your online content. Frequently Asked questions about Google AdSense. ● Is google AdSense free? Answer : Yes, in all case. ● How much revenue share Publisher get? Answer : Publisher get 55% on Hosted account and 68% on Non Hosted AdSense account. ● How much Age required for using AdSense? Answer : At list 18 according to your E-mail's Date of birth. ● Can i make money without pay for website or blog domain and hosting? Answer : Yes, you can earn money by making a free blogspot website. With 51% of revenue share. ● How many ads code can i past in same page? Answer : Unlimited, be careful more ads on same page with less content may down your CPC. All about AdSense working, How to use google AdSense? A transparent program owned by Google from 18 June 2003 originally named content targeting advertising, that allows web owners in Google Network of targeting content sites to serve and shows automatic banner, image, text, video, or interactive media advertisements, Google AdSense are targeted the site content and audience behavior for serving Advertisement and be half of it Publishers get the revenues. All advertisements are managed, collect, and served by Google. Be half of AdSense generate revenue on either a per click or per impression. In last of 2014, total revenue earn by Google is US $3.4 billion ($13.6 billion annualized), that is 22% of total revenue. Over 14.3 million websites developers use AdSense. One time setup, Ads will appear automatically. 100% transparency, very less chance to cheat. You have full control on your Ads, what to show and what to block on your website. Google AdSense uses many of own technology to serve advertisements based on website content, user's current location, User Age or Gender and User interest. 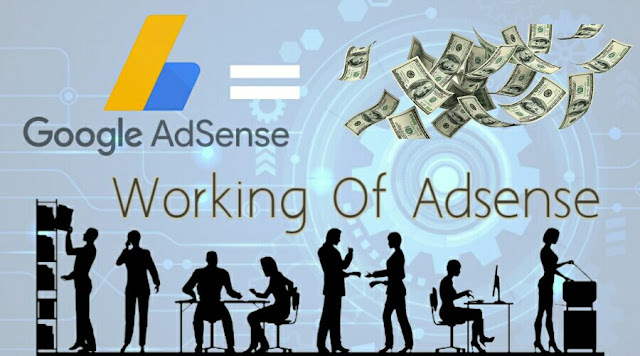 AdSense has become one of the popular advertisement programs that specializes in placing banner, text and video advertisements on a website or blog and YouTube. Now a days millions of websites use AdSense to make revenue from their online web content (website, videos, audio content, etc. ), and it is the most popular advertising network with rank one in world. Good News : Google remove the limitations of three Ads, on one page, Now you can past Unlimited number of ads code on same page. Be careful more ads on same page may lay down your CPC. 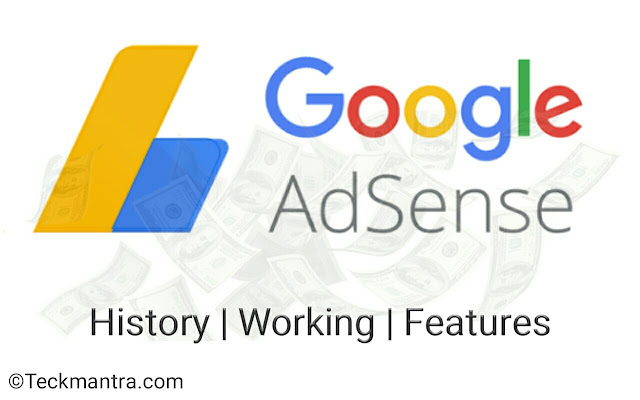 Google AdSense has been particularly important for showing advertising revenue to small websites that do not have the sufficient content for developing advertising sales programs and sales people to seek out advertisers. Now from the all over world Google AdSense pay highest to Publishers. In 2015 AdSense pay $9,860,908,459 to Publisher. Websites that has large number of content been very successful with this advertising program and earning better than expected. Age and gender of user. If you are thinking! How google know? About me, Dear Dude Google know everything, may be you are not observed, what you search and what next you seen in Ads. All user data are tracks by Google using your phone Advertisement ID and By your Gmail account. Do not worry about it. Your all data is safe with Google. Use one of the world best Advertisement network without any Risk. Monetize your online content and turns your passion in to profit.